The Plutus Awards is an annual awards ceremony celebrating the best in personal finance. It has been held every year since 2010, and since 2011, the ceremony has been held at the annual FinCon Expo. Through the Plutus Awards, the independent financial media community honors the products and services that best reflect the needs of consumers, as well as the best financial publications in new media, including blogs, multimedia, and educational resources. The Plutus Awards was founded in 2009 by H. Luke Landes, the founder of premier financial blog Consumerism Commentary. 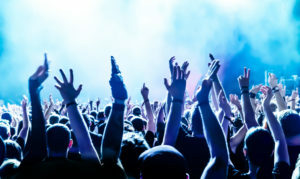 The awards began as a contest of votes from the public. 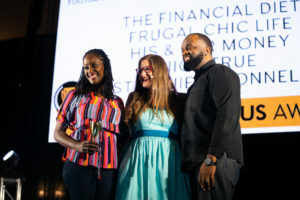 Over time, the Plutus Awards shifted to a format wherein a representative panel of independent financial media professionals determine the finalists and winners based on nominations from independent publishers, peers, and the public. The voting period culminates in a ceremony at which the winners are announced and celebrated. The Sixth Annual Plutus Awards ceremony will be held on Saturday, September 19, 2015, at the Westin Charlotte in Charlotte, North Carolina, on the final full day of the FinCon Expo. Plan to attend the ceremony by attending #FinCon15. Registration is now open. To learn more about FinCon15, click here. Also, if you plan to attend the ceremony at #FinCon15, get a free virtual ticket and join our event on Facebook. Post by The Plutus Awards.